"It's been fourteen years since we've lost our beautiful angel, and somehow, I still find solace and comfort listening to her soothing voice. I was only four when she passed away, yet I was already a huge fan. My brother went out of his way to purchase two copies of the 'Aaliyah' album the day it came out, on July 17th, 2001. Aaliyah has impacted my life in tremendous ways. She's pushed me to be more positive, a better producer, and overall a better person. I only thought it was right that I do something big this year. So here you have it! 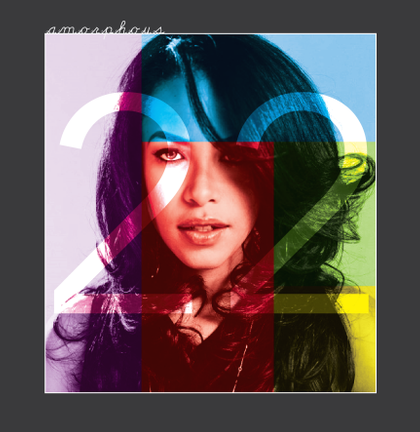 The '22' EP, a collection of remixes and original tracks all dedicated to and/or sampling her music. Featuring my critically acclaimed remix of 'Rock The Boat', '22' boasts club ready remixes of 'One In A Million', and '4 Page letter'. Along with remixes, including the Timbaland inspired 'We Need A Resolution' remix, the EP also includes original tracks, such as the house banger 'January', the experimental '1979' and 'Dreams', as well as the soundtrack-esque '2001' - a track dedicated to the year we lost our beloved angel. Worked on this for about a year now, truly from the bottom of my heart. Hope you guys enjoy."